We did not sleep very well last night and a lie in would have been in order had we not got a ferry to catch. We had said out goodbyes to Mrs McKay last night. In the last year she has suffered the death of her husband, her sister and her nephew. She told us she was the last survivor of six siblings. On hearing that we were medics she advised us of her poor opinion of the local doctors and asked us if we would work up here. Not an option as we are in sight of retirement. We were soon on the road this morning. 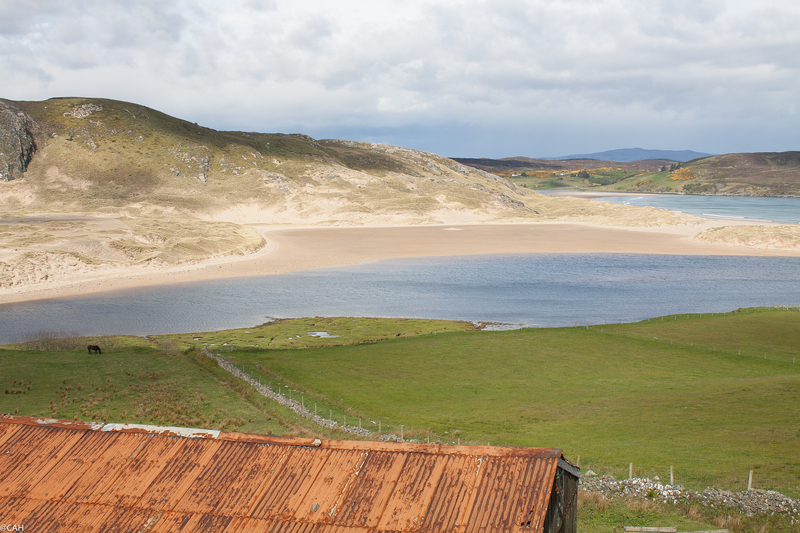 It started sunny with great views over the bay from Bettyhill. 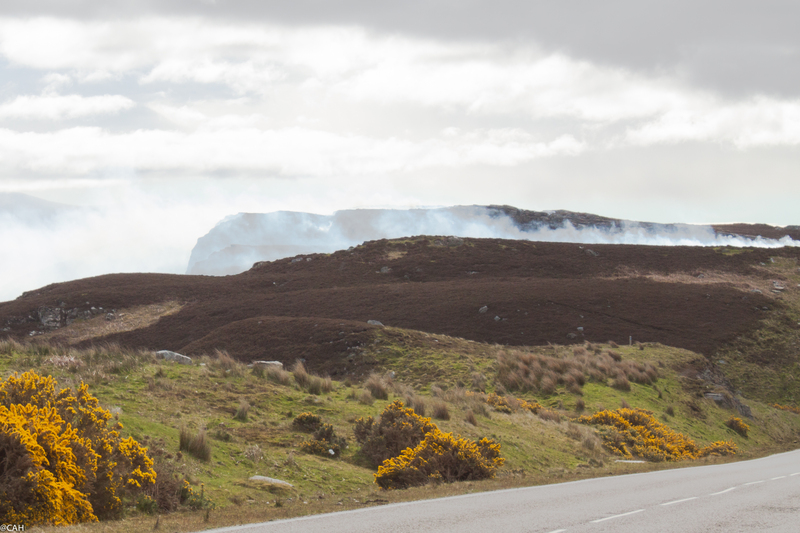 Further on, towards Thurso, the burning of the heather had started and as it was so close to the road, two fire engines were parked up on standby. After some supplies shopping in Thurso we were at the port and soon on the boat. It was a remarkably smooth crossing given the recent winds. Lots of people were sitting out on the sun deck but we soon ran into a rain shower and there was a rapid evacuation. 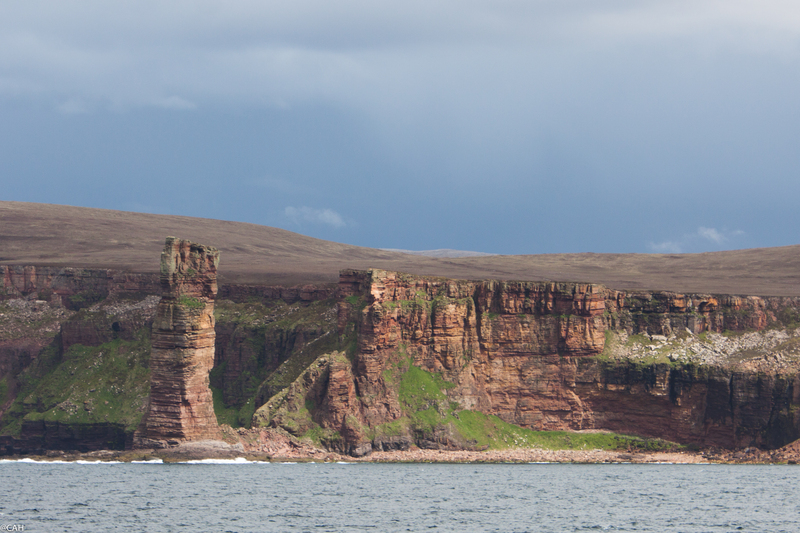 As we approached the sandstone cliffs of Orkney, I knew I was back on the tourist trail as dozens of people crowded against the starboard deck rail to get the obligatory shot of the Old Man of Hoy. Coming into Stromness, we passed the Ness Battery and the campsite on the point of Ness, before we swung into our berth. We are now ensconced in our very comfortable hilltop cottage with the wind howling outside but hot food and some wine inside.